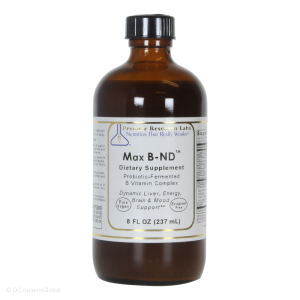 Products Related to Max B-ND | B complex Supplement, 8 fl. oz. Thiamin (Vitamin B1, Thiamin Cocarboxylate), Riboflavin (Vitamin B2 as Riboflavin-5-phosphate), Niacin (Vitamin B3 as niacinamide), Vitamin B6 (Pyridoxal-5, pyridoxamine-5, phosphate), Folate (5-Methyl, formyl tetrahydrofolate), Vitamin B12 (5-Deoxyadenosylcobalamin), Biotin (D-biotin form), Pantothenic Acid (Vitamin B5) as pantetheine, pantothenic acid, pantetheine-mononucleotide, pantetheine-4-phosphate, PABA (Para Aminobenzoic Acid), Inositol (Inositol Hexanicotinate), Saccharomyces Cerevisiae, Bifidobacterium Species (breve ss. breve, infantis ss. infantis, longum), Enterococcus Species (faecalis TH10), Lactobacillus Species (brevis, acidophilus, bulgaricus, casei ss. casei, fermentum, helveticus ss. jagurti, plantarum), Streptococcustherm. Purified Water, Organic Alcohol (certified by OTCO, pesticide and heavy metal residues not detected via lab testing). 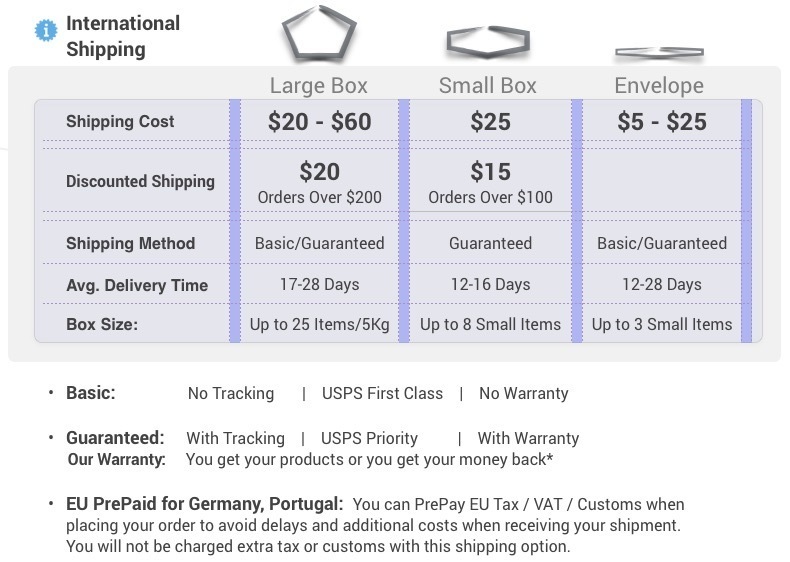 This unique supplement contains end chain, living B vitamins, including vitamin B12 and folic acid in their most metabolic form. These never before available nanized living B vitamins are derived from live vegan sources and give maximum cellular resonance. This formula offers advanced support for the liver, immune system, heart, brain, and adrenals (stress) while promoting high energy and mood balance. Nicknamed the "Happy Juice" here at the Tree, this product provides a force field of stress protection and neurological resilience. A perfect supplement for vegans and vegetarians concerned about maintaining healthy levels of vitamin B12. It is one of the only source of human active vegan B12 available. After six years, 80% of vegans and live-fooders, as well as carnivores are deficient in B12 at its optimal level in the blood and urine. Please understand it is absolutely necessary to take. Our choice is Max Stress B (a nanized B) from Premier Research. Max Stress B is primarily a chi energy, but also enhances shen, because it improves brain neurotransmitter function. So what we know about the B vitamins is they're essential for proper brain function, proper liver function, proper neurotransmitter function, proper energy metabolic function. And we've gotta make it clear that meat eaters and vegans do not get sufficient B12. I would think a homocysteine. At the minimum of 180 nano-grams your meat eaters will have about 40 percent deficiency and a vegan's being 80. But when you go to 400, not 180, but 400, then there's 80 and 90 percent deficiencies after six years. So really the meat eaters don't have a particular edge when you're looking at optimal function. Everybody needs to take a B vitamin. Particularly B vitamins get used up with stress. People are very stressed in the world today. They're using up more nutrients than ever before and that was a part of that question is they're like "well why do we need the supplements"? Well, because you're burning them up faster than ever in history. So what was good ain't working anymore because the modern world is so out of touch. With healthy ways of living. What is the right level in the blood? Well you want around 400 to 450 and of human active, human active. So nothing really raises it, just you know that it can have B12 analogues, looks like it's B12, but it blocks the human active B12 so the analogs block it so you can say, "well, you know". And I know this, I've already proven it. Spirulina, blue-green algae, they all have, and all the different algaes have high amounts of human active B12. The only catch is they also have high amounts of analogues and they compete so you don't really get B12. I don't know why God did that, but that's the way it is. So you know... The best thing is just take this orally. It's goes right into the system. That's the easy way to fix it. Everybody really needs B12 supplements, actually B12, but all of your B vitamins. All of the vitamin deficiencies, B1 and B2, and B3, Pellagra, and all those. Low B vitamins effect your mental state significantly. So take the B complex and then the B12 or all together? Forget it, enough is in here. Yeah? You don't need an extra B12. That's it, that's what I'm saying. And you take it in the morning? Yeah, I think it's good to take it twice a day. What you need is six micrograms twice a day. I find that most people test for instead of a half a teaspoon twice a day, they test for a teaspoon to a tablespoon twice a day. There's a big variance, big variance. Probably people stressed, lifestyles, but one tablespoon twice a day is probably average, what people do unless you're really living a very kind of peaceful, non-stressed kind of situation. Now, I would just say on the average, from one teaspoon to one tablespoon twice a day on average. And should we take it with food even though it's not a... No, what I do, is I recommend you just take it in hot water, it kind of evaporates the alcohol as a drink, like with your tea in the morning. It's a powder or liquid? Liquid. Everything I'm talking about is a liquid right now. Do you drink it like a tea then? Yeah, but you'll just let it sit in the hot water and it boils off, it evaporates off the alcohol. So I just mention that as a little gimmick. You know, it's five minutes in a wider cup so there's a surface area boiling off the little bit of alcohol that's in it. 1/2 teaspoon - 2 tablespoons in water, twice a day.